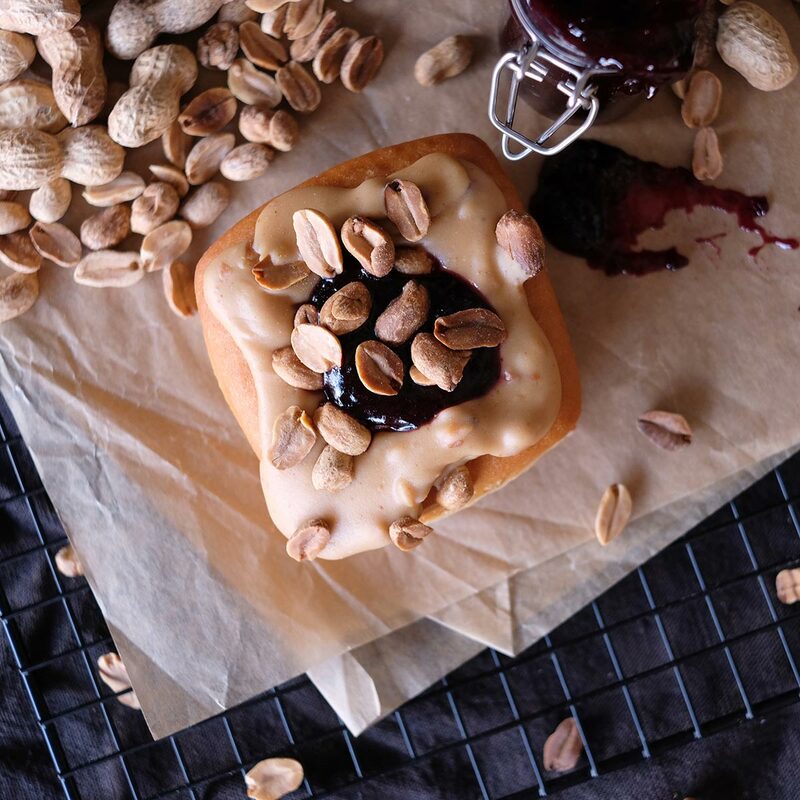 Our indulgent take on the classic American peanut butter and jelly combination. 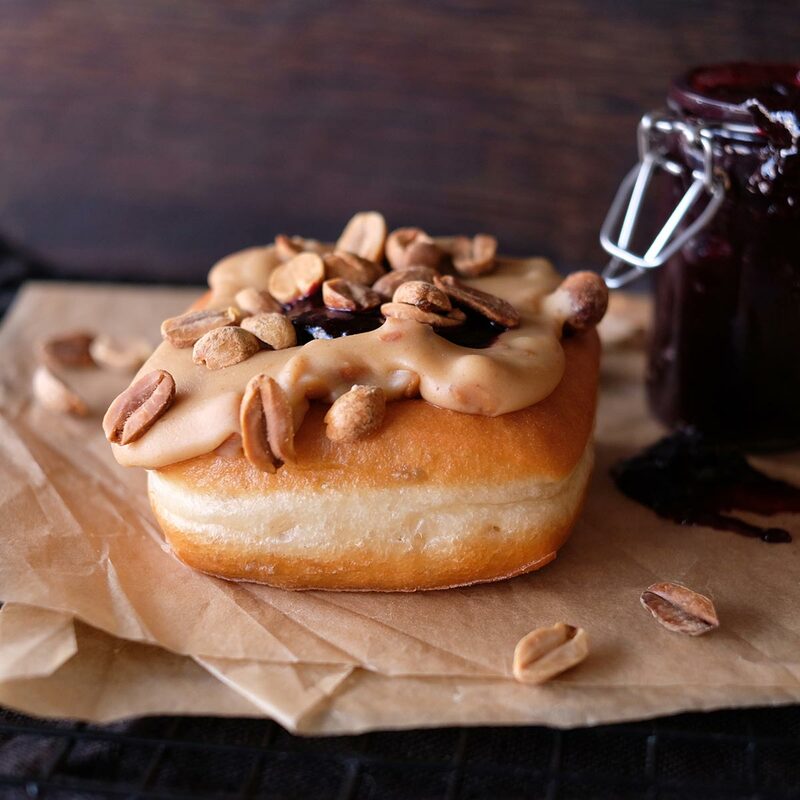 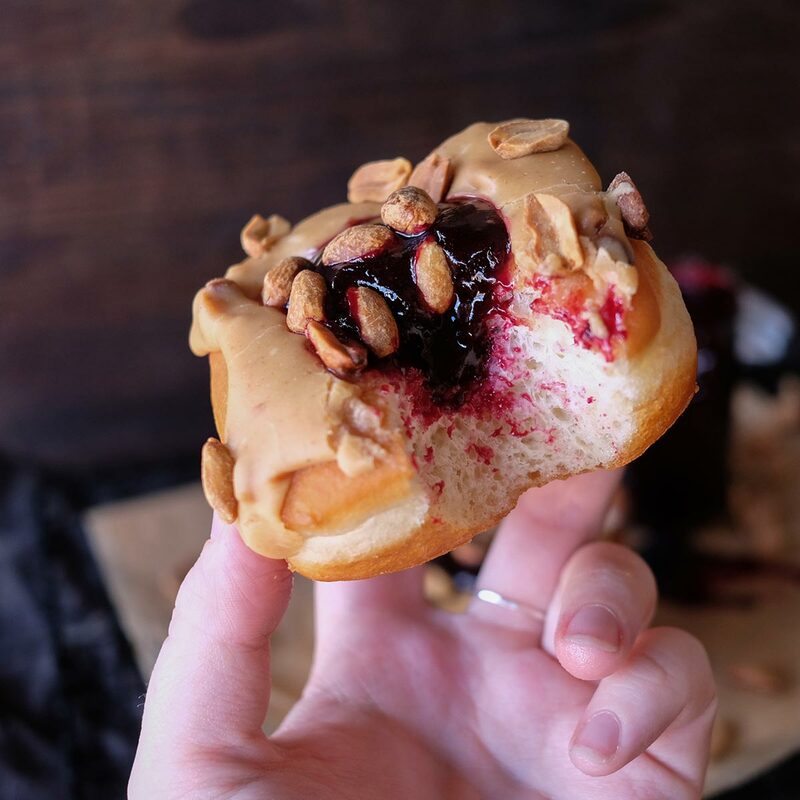 An unfilled square sourdough topped with a thick, indulgent, dark roast peanut butter glaze and our homemade, tangy blackcurrant compote with a sprinkling of toasted peanuts. 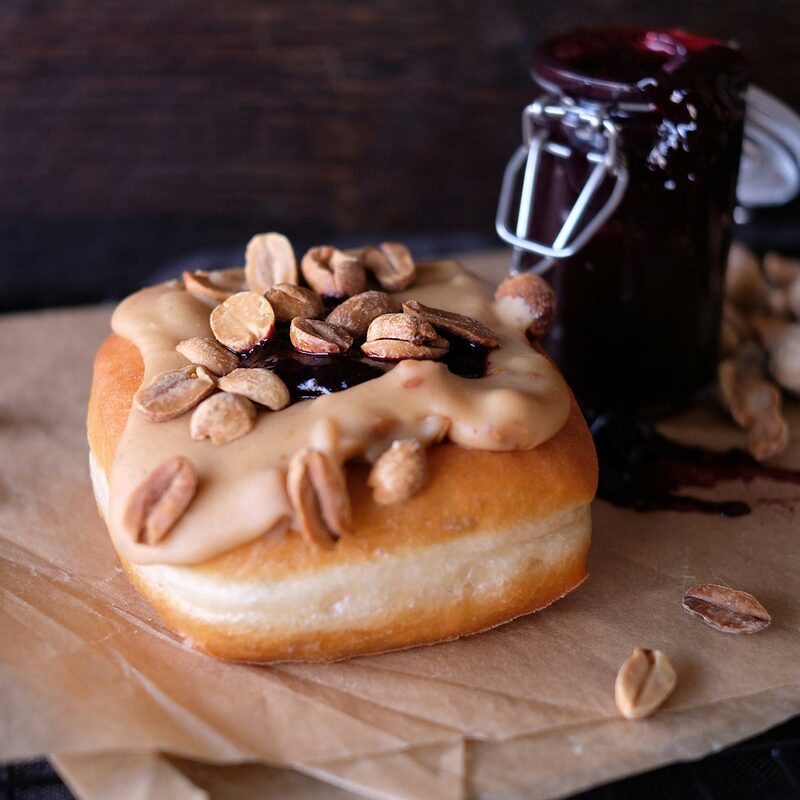 Gluten (wheat), Dairy, Eggs, Nuts (peanut).